Why Vote No to the Westhampton Free Library Budget Increase? The Library has over $4 million in cash in the bank accounts over and above the nearly $3 million that is received from taxpayers for day-to-day Library operations. (This includes the $1.3 million Ann Skovek donation.) There is no need for a tax increase to further pad the slush fund. The Board earmarked over $3 million of that accumulated surplus for capital expenditures, which includes the re-design of interior space of a not yet six-year-old building, as well as $1 million for a new parking lot. (See the 11/18/15 Board Meeting Minutes on the Library’s website as well as Your Million Dollar Parking Lot.) Enough. It’s easy to spend other people’s money. Every Library taxpayer should be a “member” of the association–not just the 7 appointed trustees–and should have a vote in the governance of our taxpayer funded institution. The Library is not a country club or a beach club. There should not be “applications” to join the club. Library taxes are substantial. A Westhampton Beach home assessed at $1 million pays nearly $500 a year in Library taxes. We deserve representation with our taxation. We vote for our Village mayor and trustees and for our school board members. We should vote for the trustees of our taxpayer-funded Library as well. It is also hypocritical that’s it’s okay to vote for Mayor Maria Moore but her husband, Library Board President Tom Moore (appointed by Joan Levan before she resigned under allegations of power abuses), maintains we cannot elect Library trustees when it is done at association libraries everywhere. 13 of 19 Suffolk County association libraries have elected boards (A and E 1 page). The NYS Department of Education has a model to guide association libraries so that they can easily amend the bylaws to allow for trustee elections. The Board is well aware of this model. Five of the six newly appointed trustees never attended one Library board meeting prior to their recent appointments, yet they disenfranchised the taxpayer in their April “Report on the Selection of Trustees” decree by denying us our right to vote. Instead of asking the taxpayers through a ballot or at a town hall meeting how they would like to see the Board–elected or appointed–and letting the majority voice of the people speak, President Tom Moore sent an email to powerhouse labor attorney Richard Zuckerman asking him for the “Legal Implications of Converting to a Publicly Elected Board of Trustees” (Zuckerman letter). Though we respect the Board’s desire for information, they obviously set out to prove their foregone conclusion that the Board must remain appointed. Their efforts are disingenuous. The Board used our hard earned dollars to pay an attorney to disenfranchise the taxpayer. Zuckerman’s response contradicts the Board in their concerns about Civil Service and Prevailing Wage. Anyway, as President Moore stated at the May 11 board meeting, the letter is Zuckerman’s “imaginings”, his “opinion”, his “guesses.” The Board’s “Report on the Selection of Trustees” is merely an academic conversation that was used to falsely validate maintaining appointed Board status. The Board deceived the public by posturing their academic conversation on why an elected board “could,” “possibly,” “maybe,” “conceivably” harm the Library as absolute truth. Why didn’t the Board mention even one association library with an elected board and a union success story? The Board stated that elected boards are “so new.” That is not true! 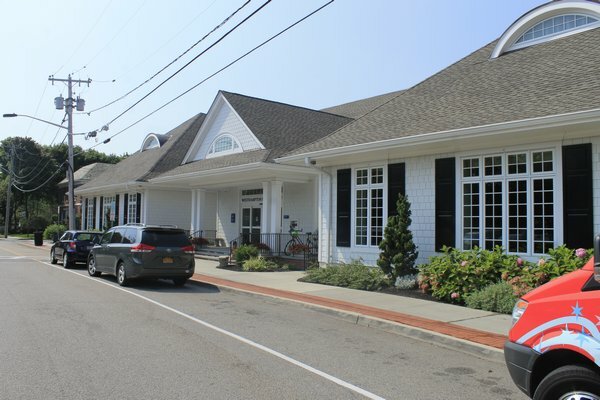 The Port Jefferson association library unionized in 1987 and went to an elected board in 1990; Rogers Memorial in Southampton allowed for elections in 1996, Shelter Island in 2011, etc. Plenty of money has already accumulated in the Library’s bank accounts, and we WILL NOT BE DENIED OUR RIGHT TO VOTE FOR TRUSTEES.